Master Gunnery Sgt. Aaron Clay, a 1990 graduate of West Virginia Wesleyan College, participated in former President George H. W. Bush’s funeral service at Wednesday at the Washington National Cathedral on double bass as a member of “The President’s Own” United States Marine Chamber Orchestra. Clay also played as a member of the orchestra for President Gerald Ford’s funeral back in January of 2007. 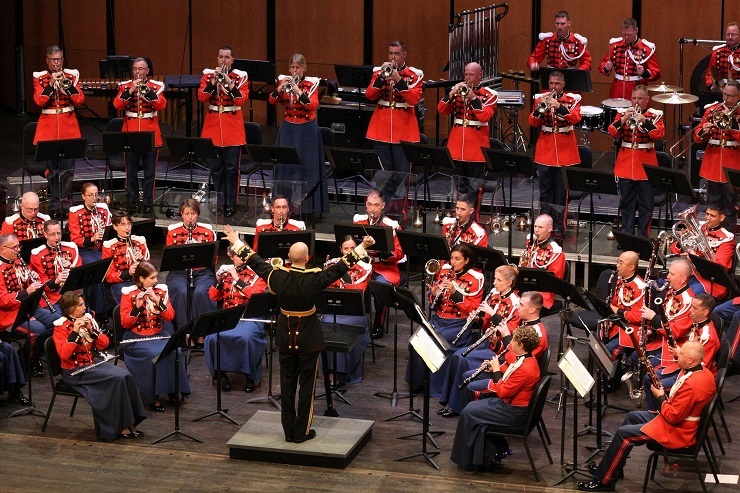 Clay joined “The President’s Own” United States Marine Band in July of 1994 and was appointed principal in 2013. The Fairmont Senior High School graduate began his musical instruction at age 15. Clay earned a bachelor’s degree in music from Wesleyan, where he studied with Richard Manspeaker. Clay was also a featured soloist in the Wesleyan’s Jazz Ensemble and participated in a number of other musical groups on campus. To read more about former President H. W. Bush’s unique relationship with “The President’s Own,” go to https://www.marineband.marines.mil/presidentbush/.